Diabetes has the ability to cause poor circulation as well as nerve damage, both of which can lead to very serious problems in the feet. Sadly, many people tend to ignore these issues. What’s even more alarming is that some people aren’t even aware of the problem, which leads them to the potential risk of developing a foot infection or an ulcer. In some cases, complications can lead to irreparable damage. They help to reduce excessive pressure on the plantar surface of the foot as well as the possibility of rubbing in other areas, which can help to reduce skin irritation, blisters, calluses and ulcers. They are constructed of higher-quality materials that are more sweat-resistant, breathable and comfortable. 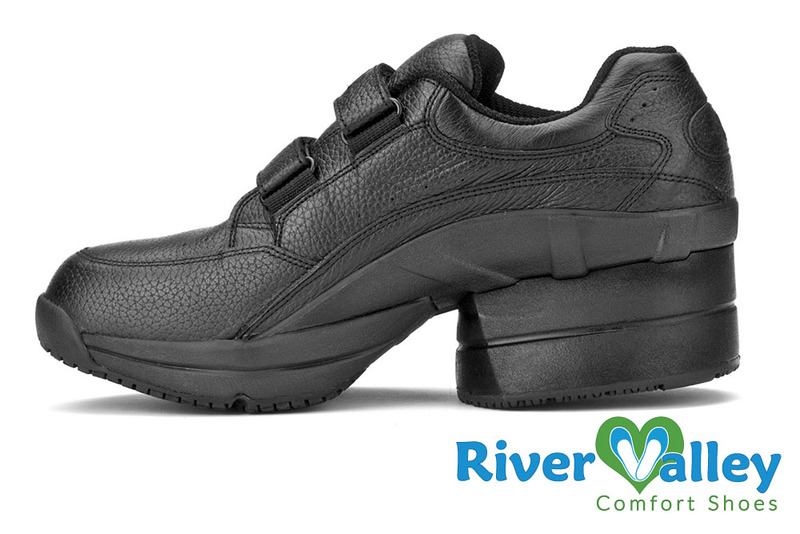 They offer additional support to the heel, arch and ankle, which helps to reduce shock and shear. This can also help to limit the motion of the joints, which can often help to decrease inflammation and relieve pain resulting in much more functional and stable feet. In many cases, a diabetic’s quality of life depends heavily on proper foot wear, in addition to the close inspection of their feet, adequate medical care of their diabetes and a close relationship with their podiatrist and medical care team. So, take this very important step and make sure that you have the proper foot wear; come see us at River Valley Comfort Shoes.